HorizonTek is a full service solutions provider specializing in data storage and data protection solutions for today's ever-changing computing environment. Creative content is one of the fastest growing areas producing more data than ever before. 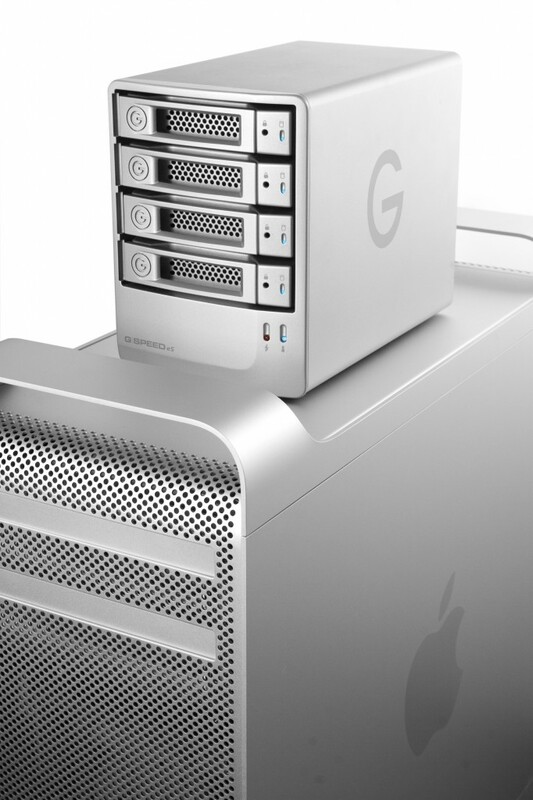 As video and graphic resolutions multiply so do the storage requirements to hold these assets. Along with increased capacity challenges, customers are looking for more intelligent platforms where assets can be shared for collaboration. And with all of these terabytes or petabytes of content that have been created, help is needed to manage everything so you know what you have and where it is located. HorizonTek has partnerships with the technology leaders in the creative content field to help you with all of your workflow storage and management needs. 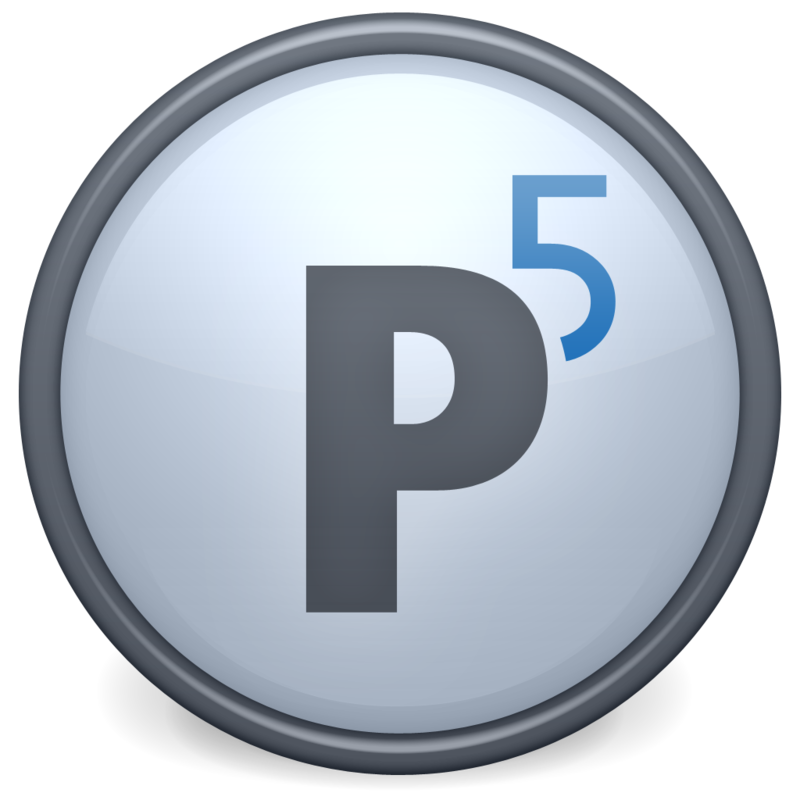 Here are some solutions that can help you take full control over all of your digital asset management and editing requirements. Xcellis combines the power of SAN and the low cost connectivity of NAS in a fully scalable hardware solution that simplifies the storage architecture and streamlines operations. With Xcellis, you can enhance your workflows to boost user efficiency, productivity and creativity in delivering the products and services that drive your business. HorizonTek offers Quantum’s complete line of StorNext integrated solutions, including high-performance disk, archive disk, object storage, tape and cloud for a fully configured multi-tiered file system architecture. Built on an ultra-modern, ultra-fast and ultra-capable storage platform, field-proven RAID storage, and an integrated and seamless blending of Fibre Channel and Ethernet sharing, SymplyULTRA can be adapted as your needs and workflows change – all effortlessly monitored and managed with SymplyRTM software. Here, you get all the redundancy, performance, and capability of an 8U rack system in a modern, highly-integrated 2U system, ensuring everything works together for optimal efficiency. Bundled configurations include axle Starter and axle 2017 software from axle Video! 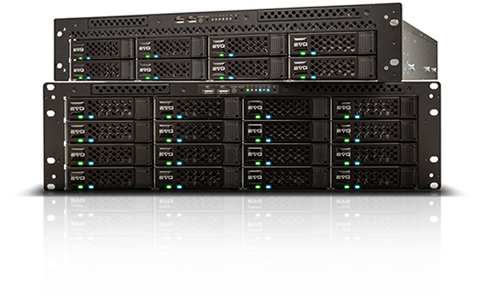 The VTrak A3800 shared SAN appliance is ideal for multi-user collaboration, especially when it comes to rich media. The VTrakFS™ file system is integrated with metadata controllers and VTrak primary storage in a single box, which enables higher performance and workload productivity, while offering easier workflow management. HorizonTek offers Promise Technology’s full line of storage products including Pegasus desktop storage, VTrak RAID solutions, VSky Hyper-Converged Infrastructure (HCI) platforms, Surveillance Storage platforms and connectivity products. CatDV is a scalable, cross-platform, multimedia asset database. 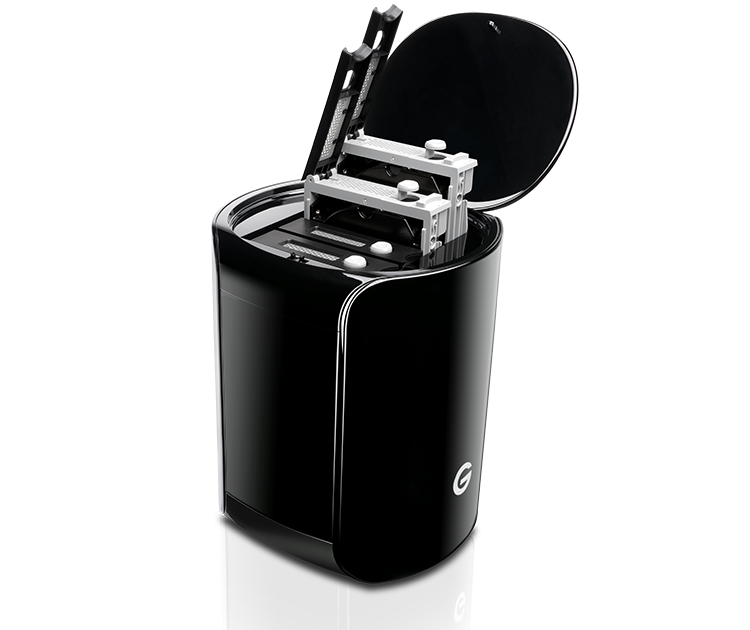 It handles a wide range of file types, with enhanced support for video content. CatDV includes media analysis tools and automatic scene detection to extract the metadata inherent in most media files, together with support for importing and exporting edit decision lists and other video-oriented file formats. CatDV has a unique mix of flexibility, power, simplicity and cost. As a result there’s no such thing as a typical deployment. For nearly 30 years, ATTO Technology, Inc., has been a global leader across the IT and media & entertainment markets, specializing in storage and network connectivity and infrastructure solutions for the most data-intensive computing environments. ATTO manufactures host and RAID adapters, network adapters, storage controllers, Thunderbolt-enabled devices, switches and software. 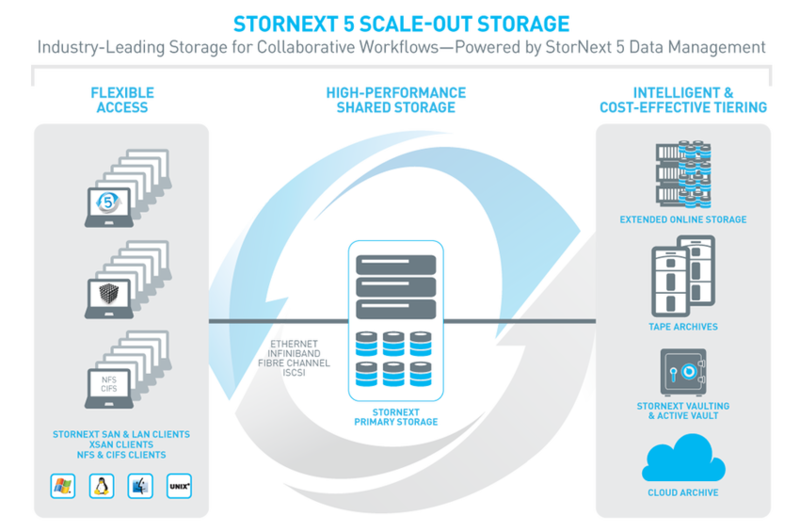 SNS offers a Complete Shared Storage System. 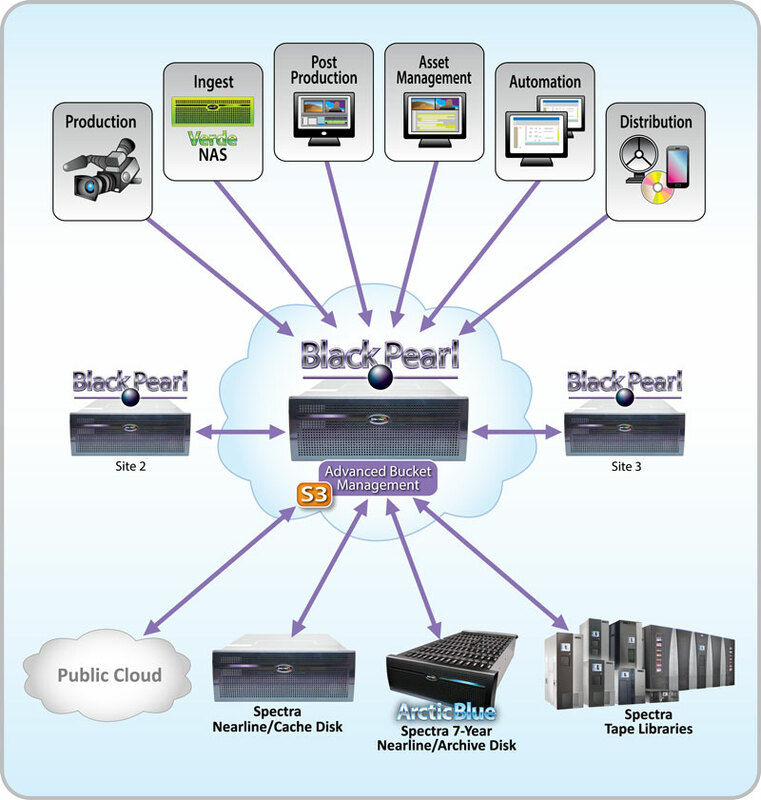 The EVO shared storage workflow server gives professional media creation teams total flexibility with built-in SAN and NAS, more connectivity, more storage capacity, enhanced features like automatic project file locking, project/bin sharing, asset tagging, cloud integration, RAID 5/6, and LDAP/AD. 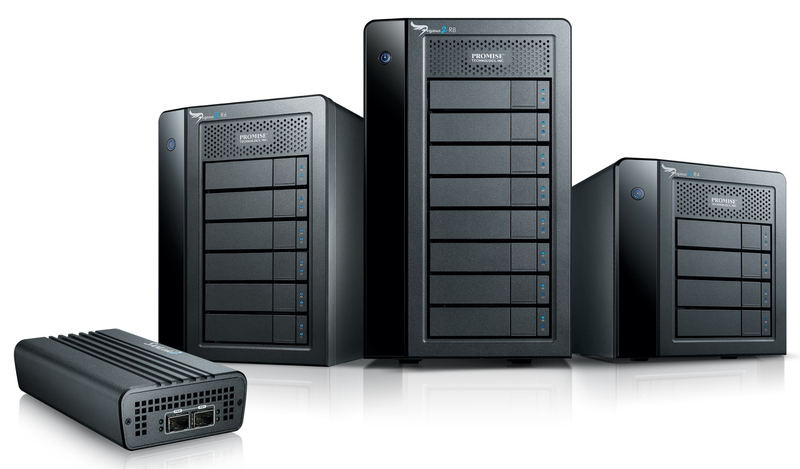 The EVO OS, systems, and all included software are designed by SNS, for professional media applications. 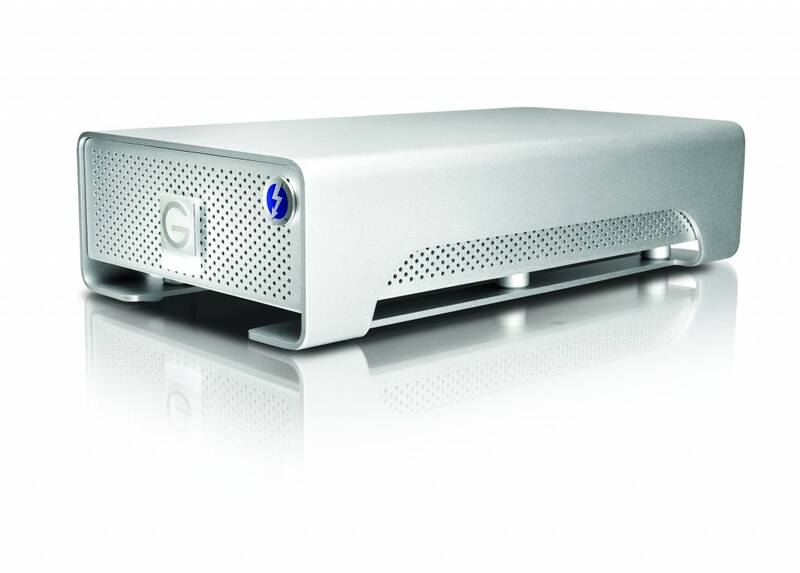 Spectra Logic understands Media & Entertainment’s digital archive challenges. Together, with key industry partners, we offer end-to-end workflow solutions. Spectra solutions are backed by more than three decades of experience and emphasize ease of use, constant access to content and industry-leading density that can easily scale to millions of broadcast hours. Archiware is a manufacturer of data management software for backup, synchronization and archiving. Archiware software is aimed primarily at SMB in the Media & Entertainment industry. 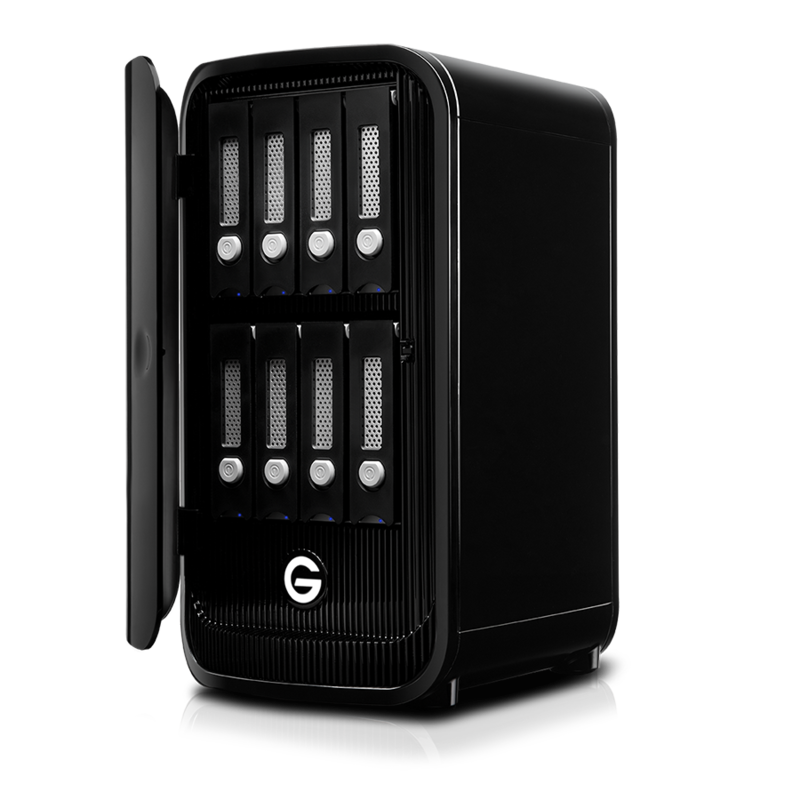 For local-attached storage options look no further than disk and RAID solutions from G-Technology and Promise Technology.